OverviewTake on the role of Jak, and embark on a long journey to change Daxter back from his ottsel form. 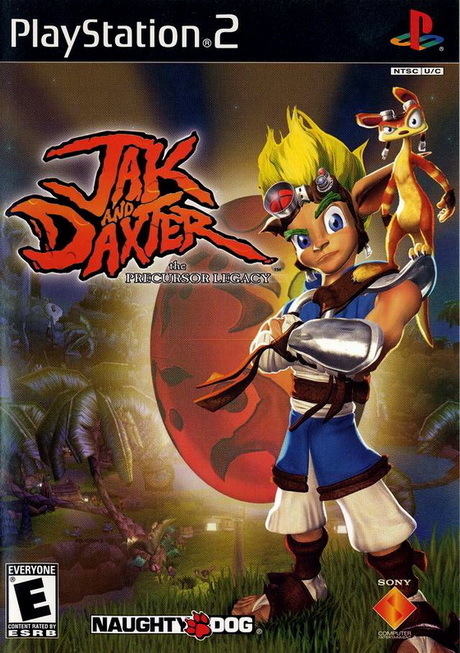 Jak and Daxter: The Precursor Legacy is a fantastic game, from the same creators of the great Crash Bandicoot series. 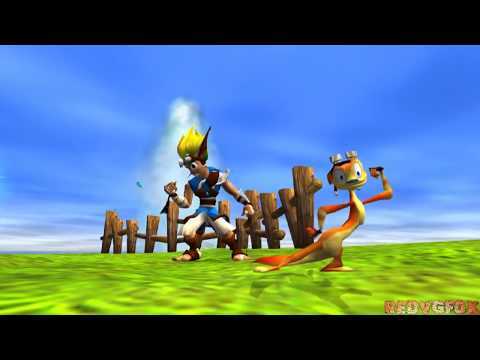 I can say that Jak and Daxter is like a spiritual sucessor for Crash, bearing some similarities with it. I cannot say much about this game. But, if you liked the first three Crash Bandicoot games, you are definitely going to like Jak and Daxter: The Precursor Legacy. Great soundtrack, Great graphics, Great gameplay. For a game launched in 2001, it is really Great!! Now you can add videos, screenshots, or other images (cover scans, disc scans, etc.) 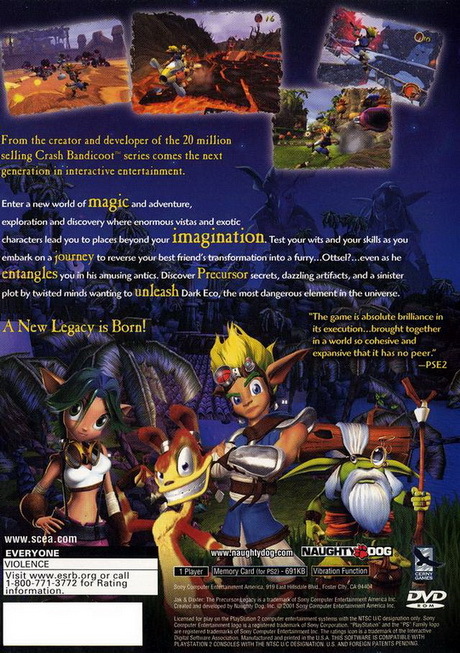 for Jak and Daxter - The Precursor Legacy (USA) (En,Fr,De,Es,It) to Emuparadise. Do it now!